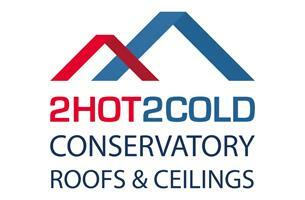 2Hot2Cold Ltd - based in Hersham, Surrey. Invoice history based on 408 reviews. 2Hot2Cold - Installing lightweight conservatory roofs and/or insulated conservatory ceilings so that you can enjoy that room EVERY DAY. Our team are highly skilled in installing roofs and ceilings that really do make a difference to the overall temperature of your conservatory. Repelling the suns-rays through Summer months so that you lose that stifling 'greenhouse' heat AND better retaining through the colder Winter months. No longer will your conservatory be too hot or too cold. We're accustomed to transforming both residential and commercial conservatories i.e nurseries, care homes, golf clubs etc... far more affordable then installing blinds, rebuilding or moving home. Materials are waterproof, will not crack, stain or need any kind of maintenance treatment - ever! We take great satisfaction in hearing how our work helps our customers; conservatories that are now used as playrooms, bedrooms, lounges, offices, kitchens, gyms... how would you like to use yours? Established 2012. Registered Office: Redhill, Surrey.